Sell The House Get Cash! If you need to sell your home fast for any reason then we can probably help. We buy homes of all sizes across the county and can make you a fair offer right now. Simply fill out your info on this page and we can do a quick, no-fuss analysis and give you an offer. 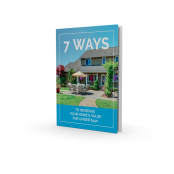 You'll also get our Brand NEW report, "7 Ways to Increase Your Home's Value for Under $150"
© www.SellTheHouseGetCash.com All Rights Reserved.